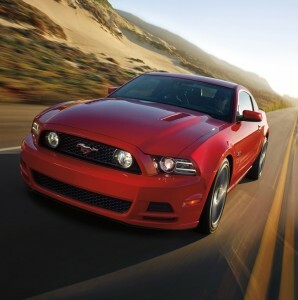 Ford will unveil the first-ever Mustang for sale in Europe on December 5, it has been confirmed. The sixth-generation vehicle, which celebrates its 50th birthday next year, will be revealed simultaneously on four continents and in six cities, including Barcelona. In Spain, Ford will host a special ‘Go Further’ event which will introduce the new vehicles and technologies which shape their future. Jim Farley, Global Vice President of Marketing, Sales and Service, said: “Mustang has come to be much more than just a car for its legions of fans spanning the globe from New Zealand to Iceland and Shanghai to Berlin. Well done but why has it took so long for Ford to realize there was a market in the UK imports of these cars has been going on for years by individuals, better late than never.